The Museum of Military History in Vienna gives a total overview of the Austrian military history from the Thirty Years War, the Napoleonic Wars, World war I & II until today. 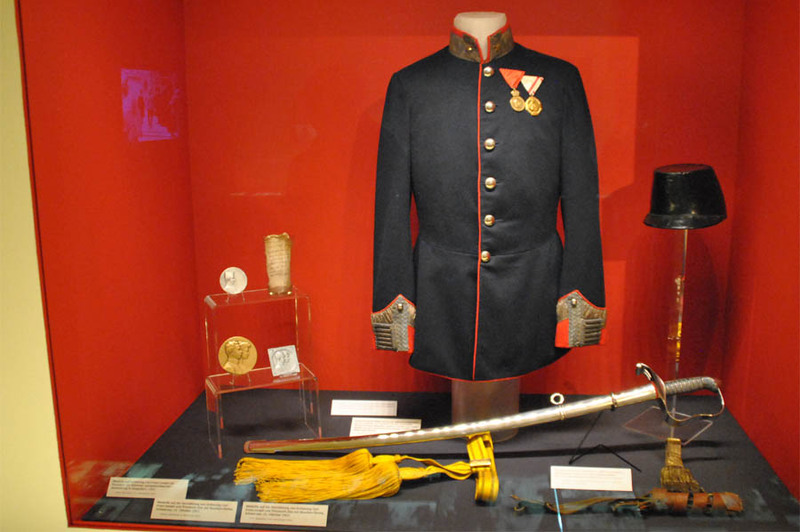 The museum has a special section that covers the the brutal assassination of Crown Prince Ferdinand in Sarajevo in 1914 which sparked the beginning of World War I. 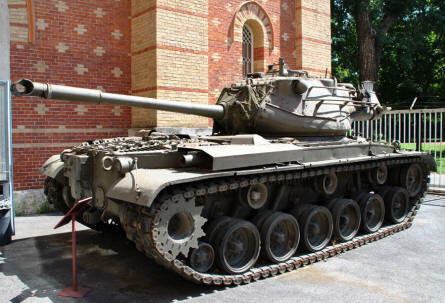 At the museum there is also a huge collection of both tanks and artillery. 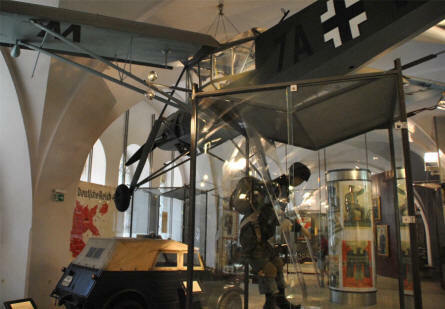 A section of the World War II exhibition at the Museum of Military History in Vienna. 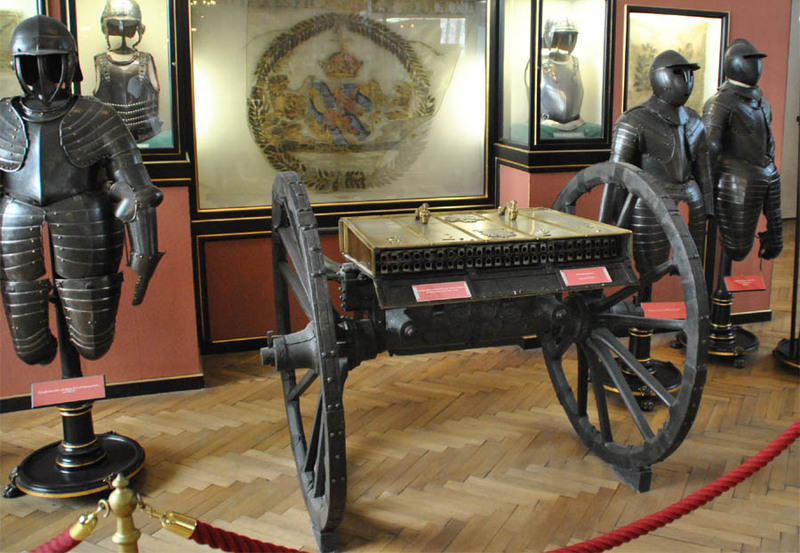 Some of the historical armour and multi-barrel gun displayed at the Museum of Military History in Vienna. An American built M-48 Patton tank displayed at the Museum of Military History in Vienna. One of the many vintage uniforms displayed at the Museum of Military History in Vienna. 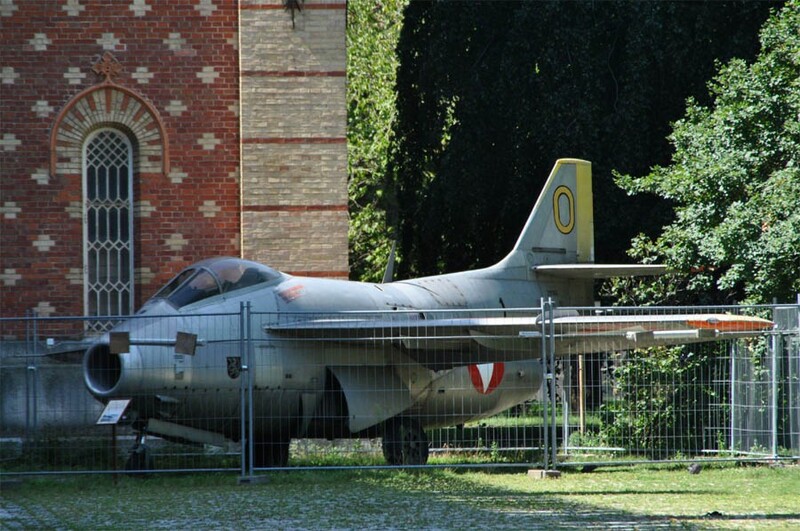 A classic Swedish built Saab 29 Tunnan jet fighter displayed at the Museum of Military History in Vienna. 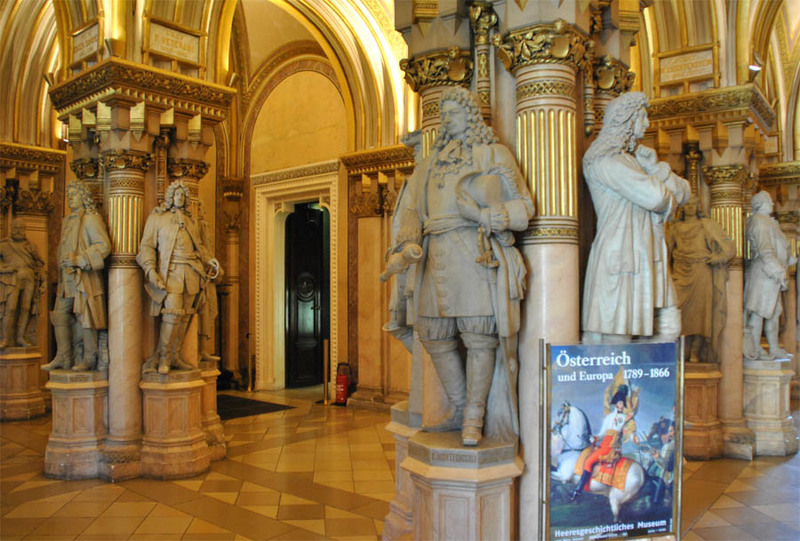 The Museum of Military History in Vienna is located in a historical building which in itself has a lot of interesting things to see - like these marble statues just inside the entrance.